europe's largest private (private - no Public access) collection ? 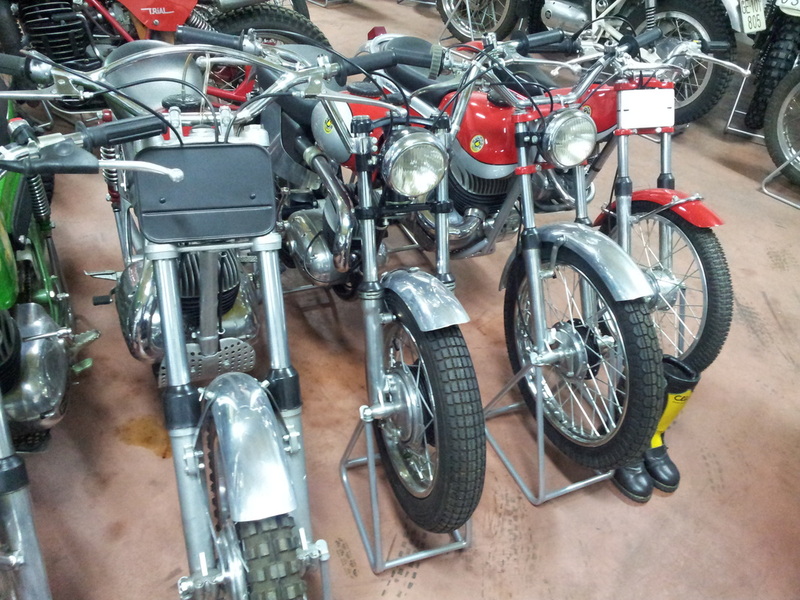 There are many men around the World who collect motorcycles.Its not rare at all.You might be one of them?. For me , anyone who has more than 4 motorcycles , is starting to collect.I say 4 because in my mind its easy to justify to yourself to have this amount. One road bike , one Trail bike , one modern trials bike and one older twinshock / pre 65. Ok , so it may be more , it may be less , but this sits well for me. If you have more than 4 or 5 motorcycles , your starting to collect them. As soon as you've reached this amount and then bought another bike that your unlikely to ride then surely your collecting ?. Its nothing to be ashamed of ;). 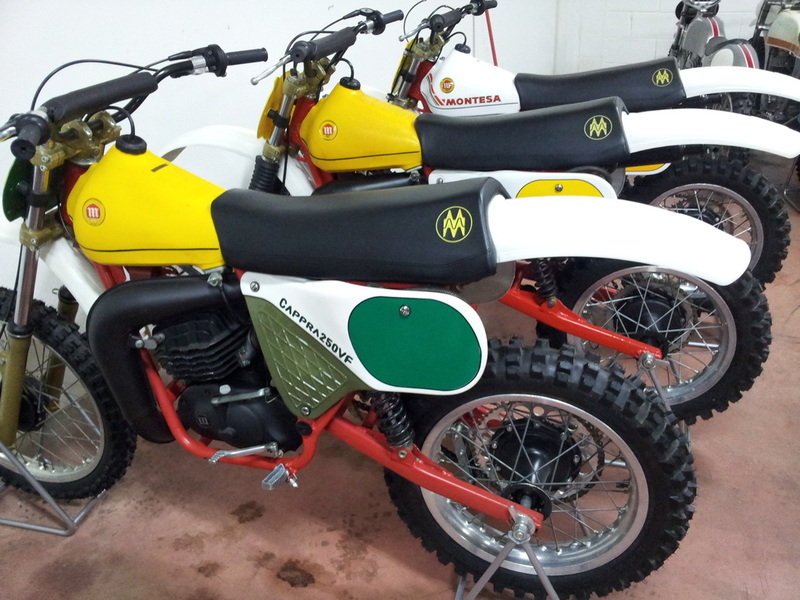 There are many men in the Uk who collect trials motorcycles , motocross and Enduro bikes. I have one friend in the Uk who has 30 DOT motorcycles , which are all the same model .......and ....he only rides one !. Collecting is enjoyable and addictive.Its also very complex.The reasons why we do it cant easily be summed up, its for many reasons and all of us are different. Its nice to own and possess the things youve always wanted or bikes that mean a lot to you. It brings you closer to your youth for a start , and none of us are getting any younger. It is however very easy to get carried away. Ive added to my collection and told myself "Right , thats it , its complete". A month on im starting to look again. Collecting for me , was a phase in my life. Ive collected and now im busy with something else. Whilst i was collecting i knew what i wanted and was very specific about this. It wasnt a free for all. My budget also play a part in this , of course. For me ive extuinguished the collecting flames ....but for how long ?. There are some wonderful collections up and down the UK , but here in the UK , as a rule here in the UK we hide them and dont advertise the fact. Were fairly discrete over here. Were also very security aware as well. 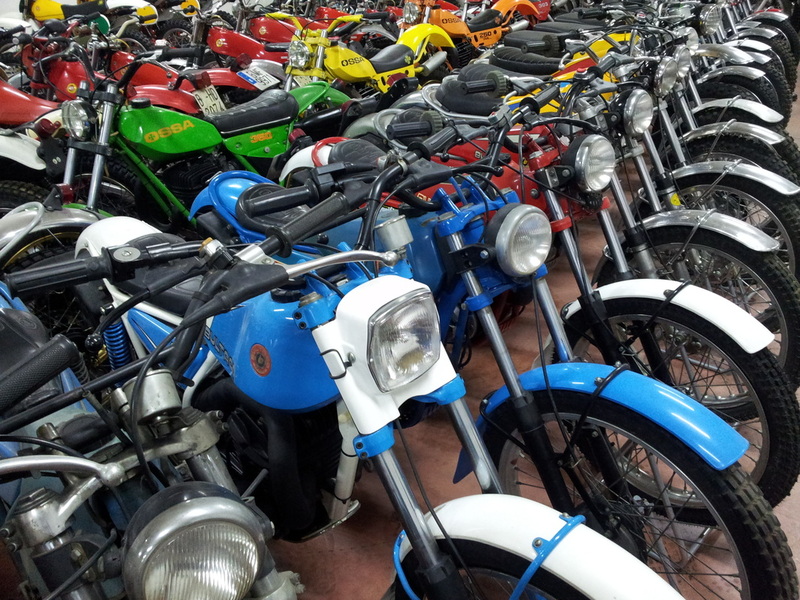 Saying this , i dont believe for one moment that there are as many motorcycles in private collections in the UK as there are in Spain. Im aware of many private collections in the Catalan area and have visited quite a few. Ive been to and also seen collections in old Mills , in Warehouses , Garages , Shop attics and Old houses , completely taken over by motorcycles. Each was great. Theres nothing better . Ive got one friend in Spain whose collection is spread over 3 or 4 buildings in separate villages. How he remembers what hes got ill never know. Im sure he doesnt visit them for months on end :). Over in Spain , people are less paranoid about security. Sure theyre concerned , but the worry hasnt got the level it is here in the UK. The Spanish are happy to show there beautiful motorcycles for others to enjoy :). So here are the photos i took from the visit , so that you can have a look around. 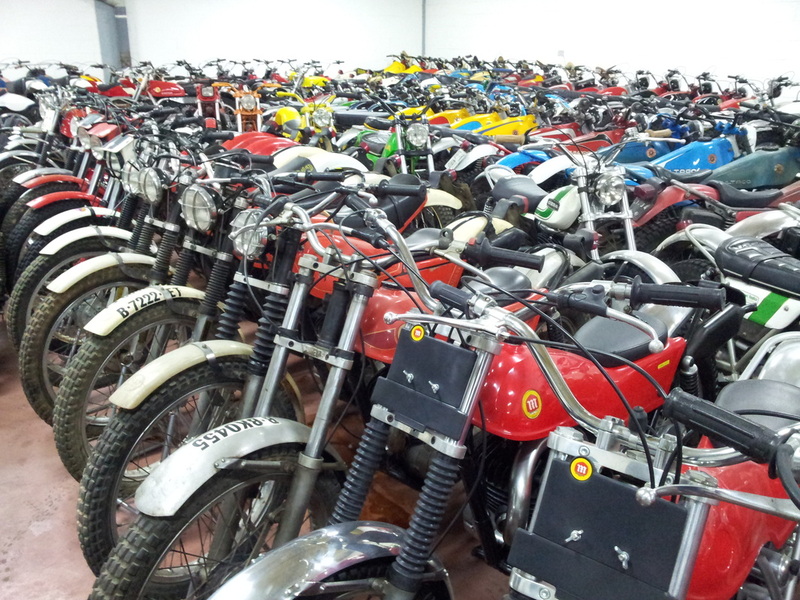 In addition to this collection the owner has another 100 motorcycles in another unit. They arent quite up to scratch yet and not quite good enough to enter this Palace of Retro. The owner told me that he employed 2 people just to maintain the bikes ! As we walked around it was just awe struck and amazed. 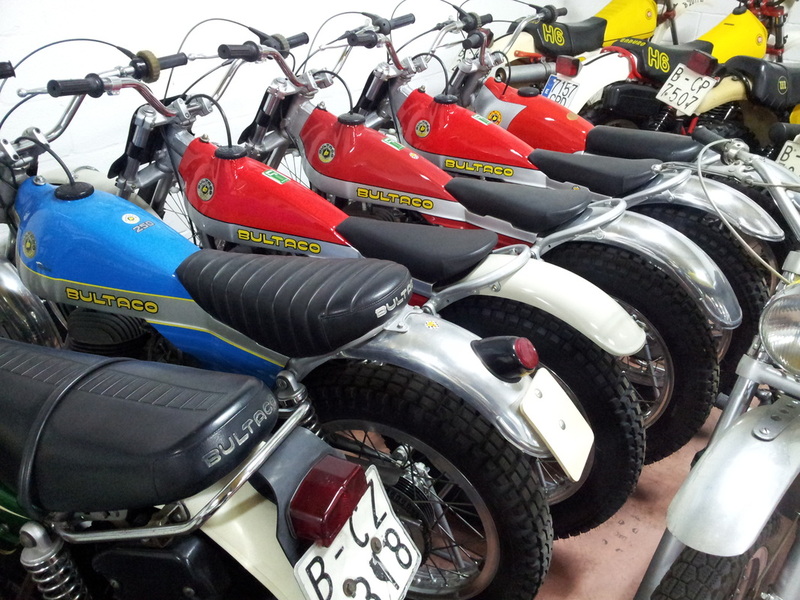 Many of the motorcycles were in their original paint and had not been restored at all. Many had been restored and were immaculate. The paintwork on the bikes was superb. I do know my paintwork fairly well and have experience spraying. The restored paintwork on these bikes was beautiful and up to a very high standard. It was entirely flat with no imperfections. The collection includes many rare and one off prototypes. I hope you enjoy a look around. 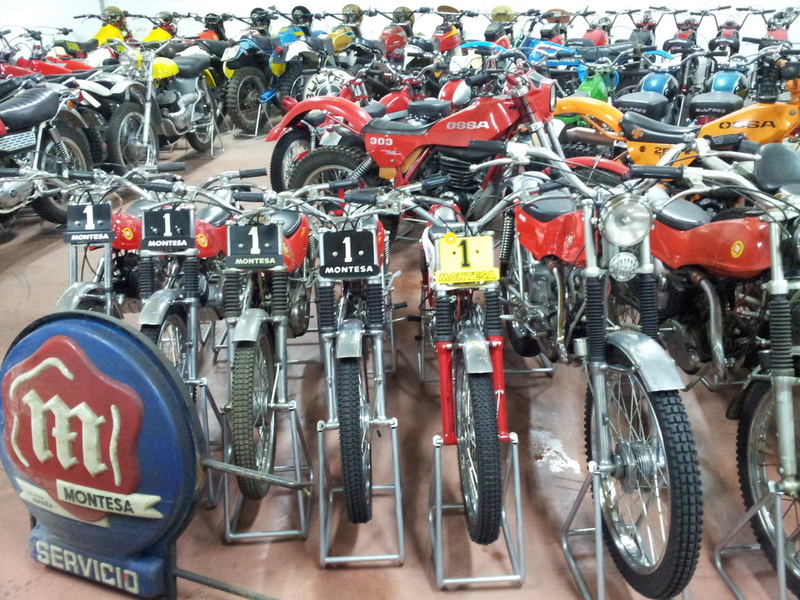 Page 2 - Europe's largest collection of Spanish motorcycles ?